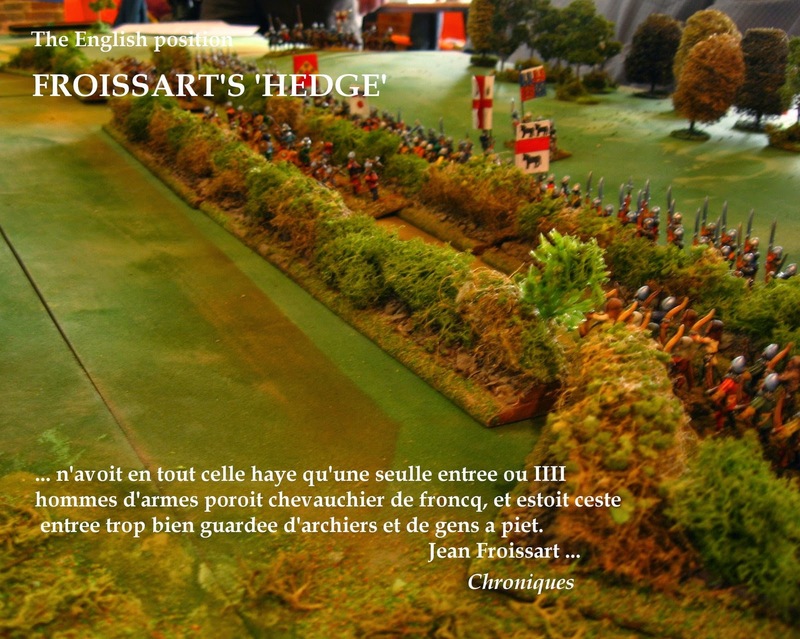 Readers of the blog will know the importance of the hedge at Poitiers - or at least, in Froissart's account. 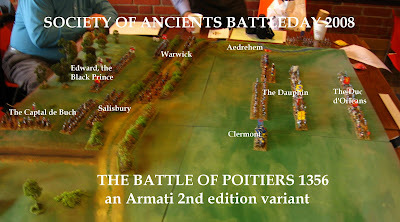 My 'hedge of the day' award went to the Armati game - in which I had the opportunity to participate (as king Jean) in the afternoon game .. Wonderfully modelled, it did not look easy to get the English out of there ...I am sure that readers of Slingshot will get full rules orbats etc. 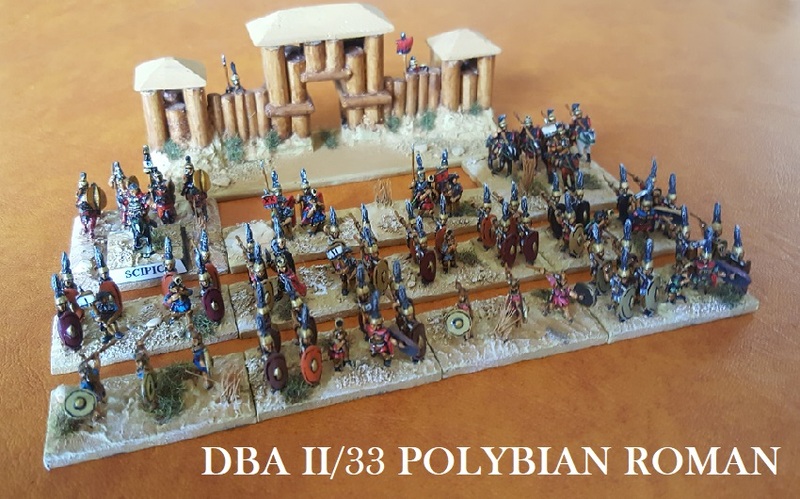 for the armies in due course. 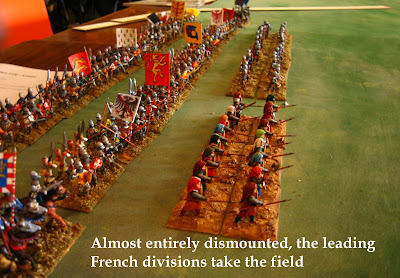 Suffice to say that the French army was enormous, and that the king's division would not take the field until the Vanguard was routed. 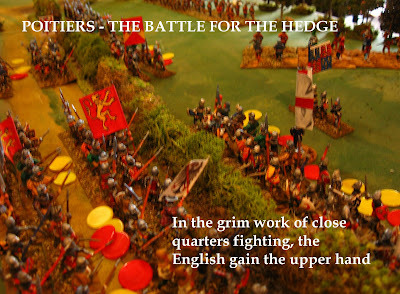 Actually, in our game, they made some headway, despite the apparent futility of attacking English Longbows and Men-at-Arms uphill though two lines of disordering hedge. 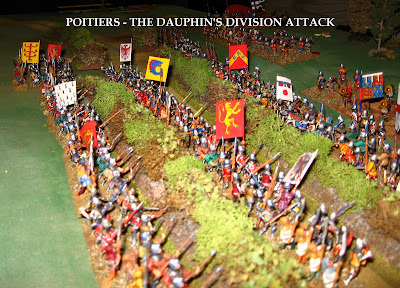 Encouraged by the initial valour of the Marshals, the Dauphin advanced as fast as possible - scarcely delaying to pepper the English with darts and crossbow bolts. Again, some encouraging leadership (canny die-rolling ...) raised French expectations .. Unfortunately for Rodger and myself, history was not rewritten on this occasion. Excellent gentlemen - looks great and great fun had by all I bet!